Olympic sailors including Iain Percy and Christina Bassadone joined Chris Gordon in Emsworth on Thursday March 27th to help launch his new practice, the Chris Gordon Physiotherapy and Sports Injury Clinic. 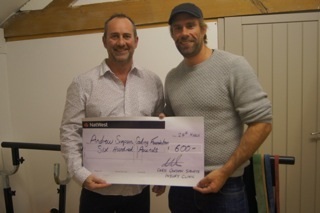 During the evening Chris Gordon presented a cheque to Iain Percy for the Andrew Simpson Sailing Foundation for £600. This money was raised through the generosity of his clients and the clinic. Chris worked with Bart from 2004, just prior to the Athens Olympics up until 2010. 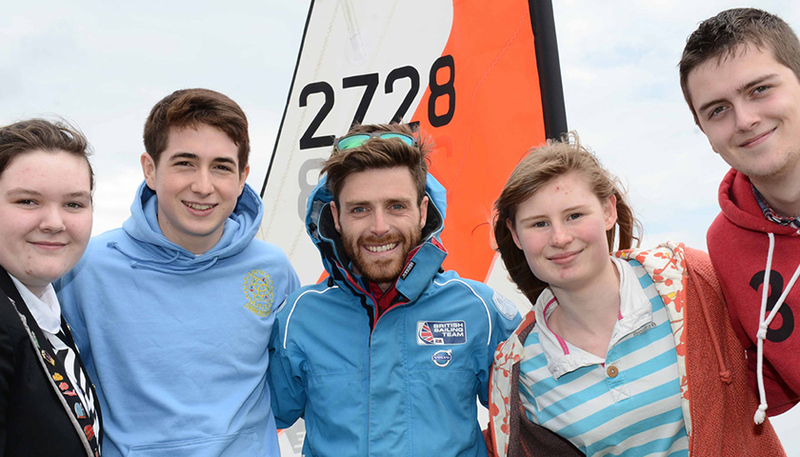 Chris really enjoyed his time working with Bart and the rest of the Olympic sailing team and felt that he would like to support the foundation in someway in memory of such a remarkable man. Chris Gordon, who trained at St Mary’s, Paddington, has worked with elite athletes for more than 20 years.